Here's a little sneak peek at my new kit coming out next Tuesday, March 1st! I'm in love with this one, it's so fun. 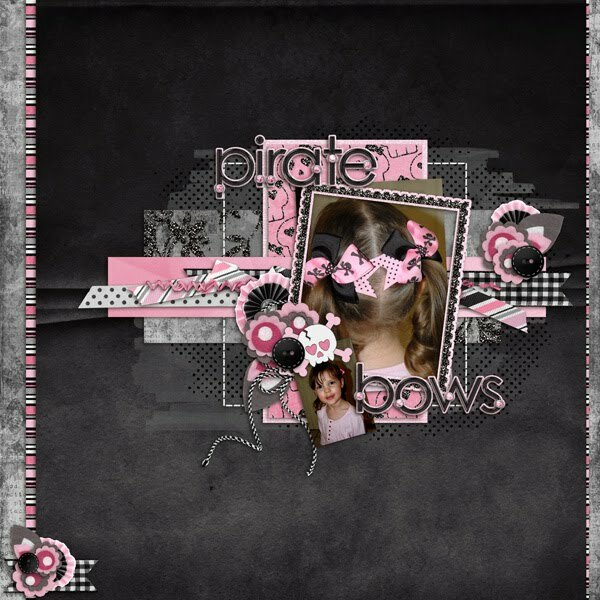 And a page I did with it, which also shows the bows I made for my beautiful little girl which were the inspiration for the kit!